Non Executive Director, SME, Independent Industry Consultant, Financial Services Regulatory Specialist, Strategy Adviser, FinTech Innovation & Regulatory Specialist, Keynote Industry Speaker, Industry Commentator on Financial Services & FinTech Policy. 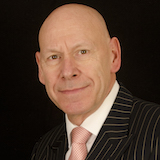 Peter has over 40 years experience at Senior Manager & Main Board level in UK Financial Services. Currently his main focus is working with industry, ministers and regulators on the UK's Digital Strategy Plan to help integrate emerging technology and digital distribution with statute and regulation both in the UK & worldwide. This includes helping the understanding of regulatory approach & implementation, including automated supervision and next generation technology. He is a Non - Executive Director of Seneca Investment Managers as well as Independent Industry Consultant at FinTechReguLabs and currently sits on a number of industry think-tank & lobby groups. He has previously sat on a number of UK Regulatory Steering Groups. He liaises with regulators and ministers on all new developments in financial services, fintech & regulation. He is a regular contributor to industry publications and conference speaker providing commentary on various industry issues. 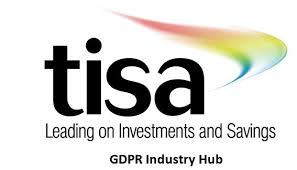 Until very recently he was Digital Ambassador for TISA leading on digital & FinTech helping to shape UK industry policy & deliver on UK digital innovation projects and liaising with FCA, ICO, Treasury and the UK fintech ecosystem as well as European Regulators. He is a regular speaker and commentator at industry conferences & events. He sat on the steering committee for the FCA Industry Sandbox consultation and was a founding member of the industry Pensions Dashboard project working in collaboration with Government & the ABI led project team. He also led the Industry Data Portal project on GDPR with the Information Commissioners Office for UK Financial Services and FinTech and is a contributor to the governments APPG on FinTech.